eXpd8’s legal case management software covers all the functionality required by a law firm. From case management, document management, to time and billing, we’ve got it all. 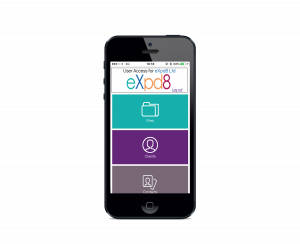 eXpd8 allows you to keep all of your case information in one place, whilst keeping you in compliance with law society regulations. eXpd8’s simple and familiar design make it the most intuitive and user-friendly option when it comes to file management software. That’s why we have over 500 law firms using our software today. Full case management is simple and easy with eXpd8. From the initial contact with the client to closing, archiving or deleting the file, our software enables you to have all your case and client details in one place. eXpd8 is compliant with Law Society regulations. Our team are also committed to developing a GDPR compliant version of eXpd8 by the May 2018 deadline. Preparing a brief is simple with eXpd8. At the click of a button you can organise all your documentation by type, create a table of contents and paginate the document. One central area accessed by all users ensures only the latest version of standard precedents and templates are used. Depending on your firm’s set up and needs eXpd8 can allow you to keep your data on your own personal server or move to the eXpd8 cloud, where your data is stored in Microsoft Certified data centres, providing you with enterprise-level security. Our team of technical specialist can help you determine the most suitable option for you and your firm.